It brings me such joy to have you in my life! Real estate and family are my passions and I am so blessed to share both with you. The coming year is a big one for real estate and I urge you to connect with me. I’d love to know what’s on your horizon and talk about your home, your family and your real estate goals. My real estate goals are to each year grow a niche. It has been over 10 great years with No Place Like Home so my next step is to expand. The fundamental way people do real estate is changing and I’m going to get in front of it. This means, you’ll still have me: Your Realtor, Your Friend, but have some options for you and your referral needs! Pricing plans in particular will change with flat rate options. I am the first to say that the market is harsh round the holidays. However, it can make an average house shine and land a great price. Each and every single showing you get will be a qualified buyer, ready to buy and a motivated realtor, too. With fewer homes on the market to compete with and that naturally occurring longing for home for the holidays, it really is a great time to make a splash on the market. You may think that Autumn isn’t the best time to showcase your home, but you’d be wrong. Buyers are still out and ready to buy. Autumn has a unique appeal that’s all its own, and you can make your home decorated to say Welcome Home! Fall home buyers are motivated; they want to move in before winter here in Wyoming. Put a nice new welcome mat out for buyers and their agents to wipe their feet. Fall decor is classy and inexpensive. Put out pumpkins, gourds, scarecrows, and mums now, and they will last through Thanksgiving. Call Rita Parker at 247-0963 to start your journey now! Here are some tips to selling your home during the changing season. 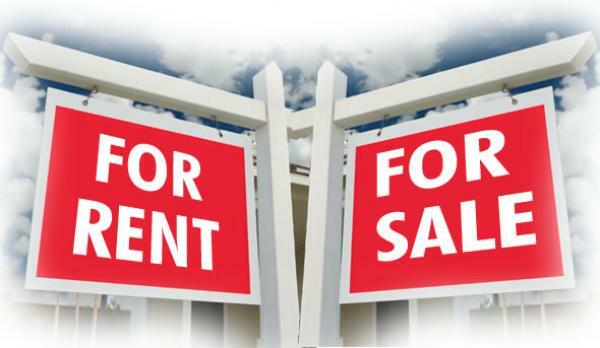 In this declining market in Casper, WY and the surrounding areas, you might be trying to figure out if you should rent or sell your home. This is always a hard family decision. I am here to help you and follow your lead. From a real estate perspective, whether you intend to rent, buy, sell or re-invest in your home: the first step is to clean it ‘til it shines. The kick off to the official first day of Spring is right around the corner. For most people, this is a time when they begin anew and especially focus on their home. This actually gets me excited because I think your home responds and welcomes you more when you give it some love. Let’s go over my best spring cleaning ideas, tips and tricks to enjoy your home or grow value. No time like the present to do all surfaces and floors! I’ve got kids, dogs and a roughneck husband. I know this is an ongoing challenge, but daily and weekly cleaning will go faster with a strong foundation of clean. Ok, let’s face it lease purchases are out there and with the market where it is, they are popping up more and more. Below you will find tips on Contract for Deeds (CFDs) and a great Pros and Cons List for Buyers and Sellers. My best tip for a mutually successful and beneficial CFD transaction is to do it above board. – Use separate lawyers, a title agency and an escrow company. Anyone who hesitates to use any or all three should cause you to stop and carefully reconsider: there is a huge red flag on field. – The lawyers will help you understand, review and prepare the documents and title to clear and process it. The escrow company can manage both intake of payments and out takes to lenders; and HOLD the warranty deed to transfer upon completion of contract. I work hard to be both helpful and ethical in my practice of real estate. Time and again I see badness and trickery in my industry. It hurts all of us to allow these practices to continue. 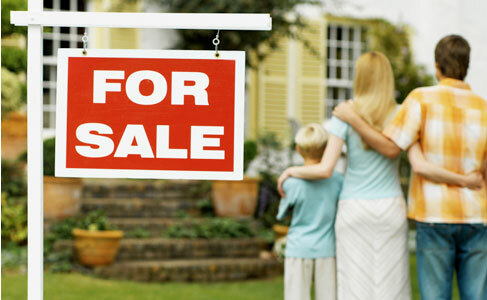 With many realtors to choose from, we hope to stand out by living our motto that “Service is Our Specialty”. Today I want to make you aware of some common dishonesty in this industry. I want to be clear and state that I am not suggesting that all brokers pull these tricks! In my experience, many are honest, forthright and desirous of helping their customers. But, like in any profession, there are some who play by a different set of rules. Everyone in Wyoming is affected by the oil market. The effect of oil prices on real estate prices is undeniable. We are definitely in one of the deepest downturns of the oil industry since the ’90s. Let’s go over oil basics and then apply it to our market. It is important to note that oil is a strong indicator of home price trends, but it is just one factor of many. Wyoming learned from ‘80s that the boom and bust cycle is brutal and we are fortunate as a state to have watch guard’s in place to maintain a more controlled market than I see nationally. The American benchmark was at around $27 a barrel on 1/20/16, same for Brent crude. Why has the price of oil been dropping so fast? Why now? Knowledge is power and early knowledge can offer you a distinct advantage, especially in our tight real estate market. Those who find the properties the quickest gain an edge by being the first to see new properties and thus the first to make offers. More often than not, having current market knowledge pays off. Many buyers and sellers are not ready to actively tour homes yet but want to watch or research the market online. This article will review how you can leverage the property search on this website to quickly access the newest properties on the market and how to setup email alerts when new properties match your criteria for Casper, WY real estate and the surrounding areas. Of course, hiring an agent will make finding homes for you a top priority, but realistically you’ll start by doing your own research and browsing online first.